*APY = Annual Percentage Yield. Minimum $10,000 to open. $10.00 monthly service fee waived if balance of $10,000 is maintained. APY and rates accurate as of 3/6/2018. The interest rate and APY may change at any time and rate changes are solely within HFB's descretion. Federal withdrawal restrictions apply to all savings accounts. Personal accounts only. Fees may reduce earnings. Limit (1) per customer. 1 Transfers and drafts in excess of the limitations will subject the account to loss of transfer and draft capabilities or closure. For all personal checking and savings accounts: All interest rates subject to change. 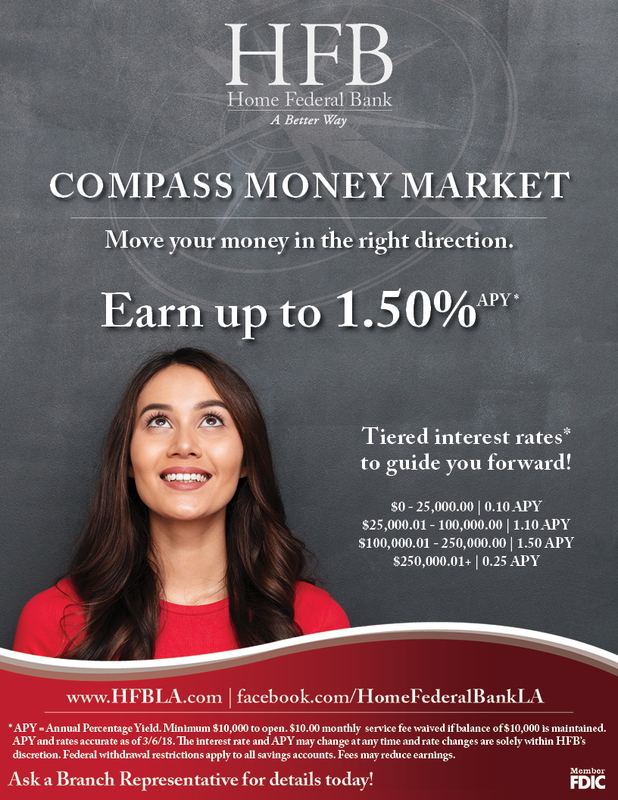 Contact a Home Federal Bank location near you for interest rates.